Before there were refrigerators, children were sent out to market daily to bring home fresh food and drink for the family meal. This little girl, with a basket of vegetables on her arm, a Bavarian beer stein in her hands, and a wreath of flowers in her hair, has cheerfully completed her errands. Wouldn’t you just love to come for dinner? This is an authentic M.I. 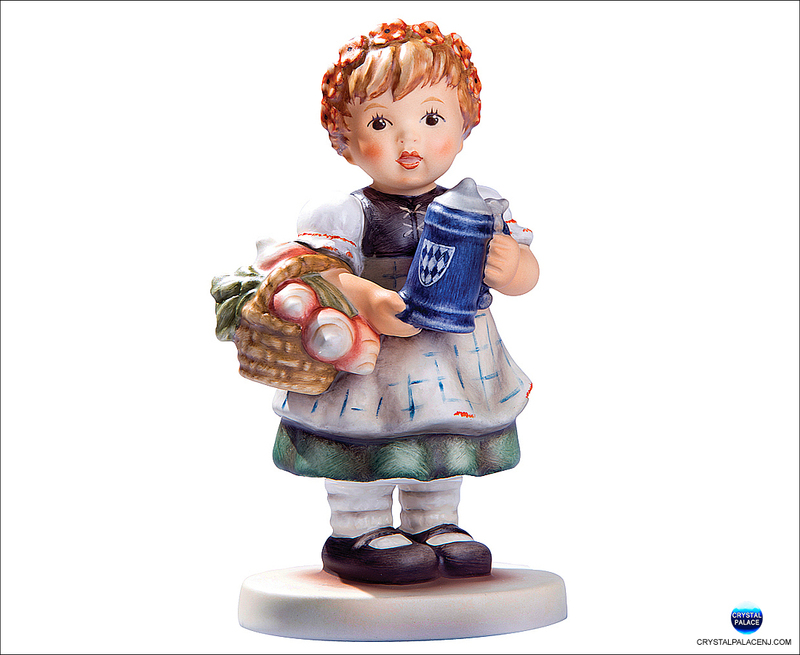 Hummel figurine, a companion to Bavarian Toast, handcrafted in Rödental, Germany. Made in Germany. - Hummel Number 2373/0 - Approximate Size: 4.75"